Millions of Americans watch "Shark Tank" each week because it's a reality show that has genuinely real stakes, with entrepreneurs pitching their companies to a panel of investors who can potentially change their lives. The series has been huge for the personal brands of each of the six investors and has yielded investments that have made them millions of dollars, but they need to spend as little time as possible in the Los Angeles studio because their businesses are still their primary responsibilities. To compromise, the show's producers have worked out a schedule that allows an entire season of about 30 episodes to be shot over 17 days. The current, seventh season was split into a session early last summer and then early last fall. Each day on set lasts 12 hours, beginning at 6 a.m. or 7 a.m., and shooting is done in three-day splits separated by an off-day. In his new book "You Don't Have to be a Shark," investor Robert Herjavec reveals that each of these three days has a distinct atmosphere, and the day an entrepreneur pitches to them on affects their chances of getting a deal — as well as how the Sharks interact with each other. "The first day is generally a good one," Herjavec writes. "We reacquaint ourselves with each other and get a buzz from routine preparations, trading gossip, catching up on each other's careers, and talking with crew members in the studio. Herjavec notes that the nature of the show requires their full attention, and that at the start of each three-day cycle they are rewiring their brains to forget about whatever is happening back at their companies or even their personal lives. To help get into this mindset, the Sharks deliberately play up their personas, Herjavec explains. "For the first few hours of day one Kevin [O'Leary] snarls a little more, Mark [Cuban] is pushier, Lori [Greiner] sharpens her TV smarts, Barbara [Corcoran] plays her strict den mother role with greater relish, and Daymond [John] seems to rise even farther above it all," he writes. "I tend to smile more easily, finding it all entertaining and refreshing." So, depending on which of the Sharks connects to an entrepreneur's pitch, either with enthusiasm or distaste, landing a Day 1 spot can result in a slightly exaggerated reception. "Day two is inevitably the best," Herjavec says. The Sharks aren't distracted by what's happening back at their office and they're not concerned about hamming it up. They're acutely focused on making good deals. "Those twelve-hour studio sessions have become our reality, and nothing intrudes on our assessment of the pitches (and the people making them)," he writes. Day three presents the biggest challenge to entrepreneurs because it's the least enjoyable for the Sharks. "Shark Tank"/ABCAs the day progresses, Herjavec says, "it becomes difficult to keep our minds off whatever we hope or fear is happening back at the office. It also becomes trickier to overlook little annoyances that were easy to shrug off a day or two earlier, when they might have earned a smile or a joke tossed between us for a laugh." 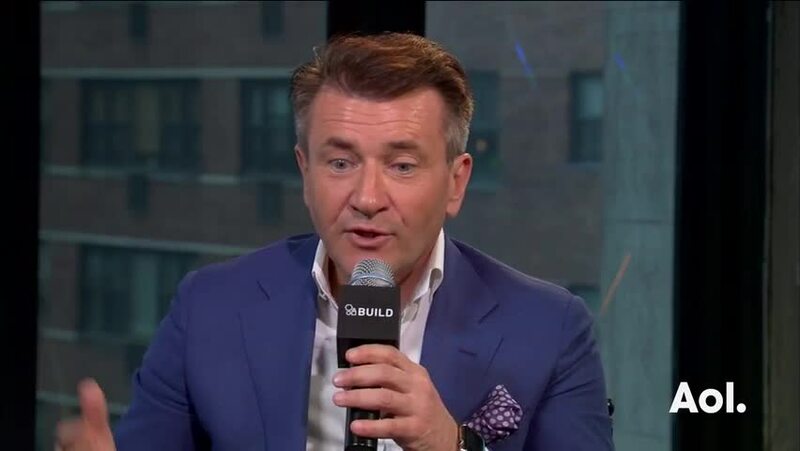 The investors start to itch to get back to their companies, and they're more likely to think about how cold, hungry, and miserable they are in the studio, Herjavec says. The producers enjoy the third day, he argues, because the ways the Sharks either attack an entrepreneur giving a weak pitch or attack each other over a deal when they're in this mood makes for great television. That's what happened in Season 6, for example, when Herjavec yelled at Greiner and John for giving a "handout" to an entrepreneur he determined they felt sorry for, before storming off the set, with similarly disgusted Cuban and O'Leary not far behind him. "Three days don't represent just the maximum number of days we can stay away from our businesses; it's the maximum number of days we can do our jobs as Sharks and still remain functional," Herjavec writes. "Not to mention amiable and courteous with each other." Based on the true story of Facebook genius Mark Zuckerberg and his Harvard classmates and co-founders, this movie shows us how one idea can go from a thought in casual conversation to a world-dominating platform. This film also brings to light the drama and behind-the-scenes tensions that arise when setting out to begin a new business or venture. We learn through Zuckerberg's faults in the movie that you must stay cognizant of your actions and the way that you treat people, or you may damage relationships with those closest to you. If this picture queues the iconic theme song to start playing in your head, you're not alone. Rocky is the ultimate underdog story, one that can inspire even the most experienced of entrepreneurs. When being called up to fight world champion Apollo Creed, Rocky sees an opportunity and does everything he can to make the most of it. Through physical strength, Rocky exemplifies true mental strength that has us all rooting for him and the people, quite literally, in his corner. In a classic awakening of the conscience, sports agent Jerry McGuire decides to write a letter to his entire company about how the hunger for deals and a profit are making it easy for everyone to lose sight of who they are. This gets McGuire fired, and he must start his own business. With only one star football player under his management, McGuire learns what it really means to love what you do while still being able to sustain an income and sense of morality. This classic has so much to teach us about believing in ourselves, believing in others, and how there is literally no one who can tell you what you're capable of doing other than yourself. As someone who's mentally disadvantaged, Forrest lives a life that's anything but limited and does it all with a smile. His determination is admirable, and at the very least, this movie will remind you to never give up on the things you want the most. Mental fortitude is the most important thing. Elle Woods is the girl you can't help but root for, right from the opening scene at the start of this movie. After getting her heart broken by her long-term boyfriend (whom she thought would soon be her fiancé), she learns that he'll be attending Harvard Law school in the fall. Determined to both get him back and prove to him she's more than just a dumb blonde, Elle works harder than she's ever worked before (with the help of everyone she knows and loves), gets accepted to Harvard and finds herself on the defendant side of a high profile court case that forever changes her life and career. Elle teaches us how to pool our resources and connections to get to our goals. The film also reminds us about how important friends and family are to have as a support system when you're taking on an endeavor that most people expect you to fail at. A classic tale of friendship and trust, Charlotte's Web will always inevitably give you all the feels. It reminds us all that by being kind and by simply being someone's friend, you can make all the difference. The people who find the most success and get to where they need to be are the people who care deeply for others and expect nothing in return. The film, as does the novel, can make anyone see that the relationships we build along the way become the best investments that we make. This 2015 movie starring Robert DiNero and Anne Hathaway is feel-good film about a 70-year-old retiree named Ben Whittaker who, recently widowed, is looking to come out of retirement for something fun to do. When he sees a posting for am"senior internship", Ben believes he's the perfect fit. Ben works under the owner of a fashion website (played by Hathaway) and the two form an incredible, honest bond. Their friendship shows that the most successful partnerships and ventures come from the most unexpected places. It's a nice reminder that hard work, positive mentality and kindness will always be in style, no matter how old or young you are.